Impact is a force at which a body part contacts the ground during exercise. If you have joint problems or are obese, high-impact exercise can be contraindicated, putting you at risk of doing more harm than good. 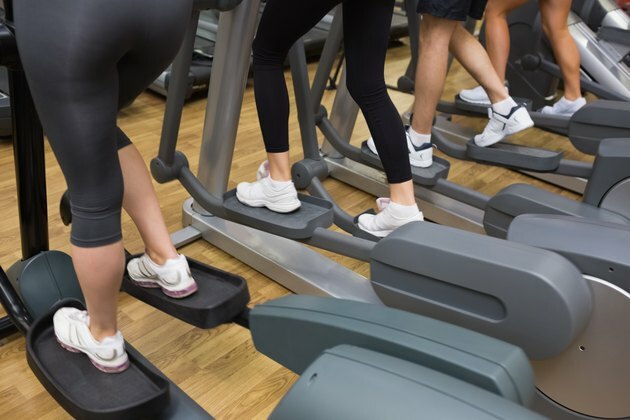 Low-impact exercise machines, on the other hand, can give you a safe and functional workout without having to worry about the repercussions of the constant high-impact pounding. 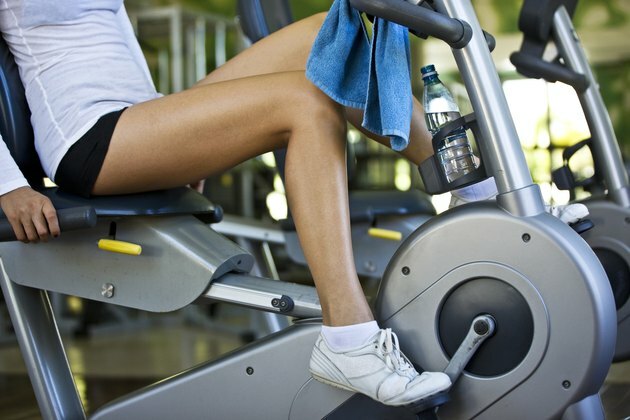 Elliptical machines are characterized by poles that you place your hands on and pedals that you place your feet on. To create the motion with this machine, you need to simultaneously move your arms and legs back and forth in a cross country skiing motion. Still, some other elliptical machines require only your feet to move. Your feet never leave the pedals, so there is no impact whatsoever. 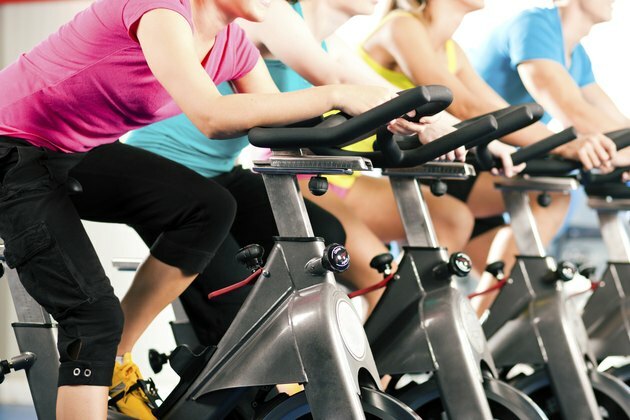 Stationary bikes give the feeling of riding a bicycle outdoors, but from the comfort of a gym or living room. The resistance can be adjusted from light to intense and you can even stand up and pedal to simulate hill climbing. This all comes without any impact. If you have lower back pain, your best bet would be a recumbent exercise bike. Instead of being in an upright position, recumbent bikes are used from a horizontal position where you sit on a chair and the pedals are out in front of your body. 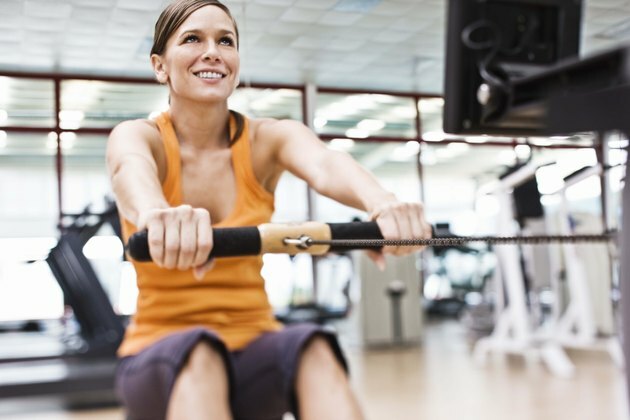 Rowing machines are intense pieces of cardio equipment that work your upper and lower body at the same time. When using the rower, your feet are placed on a platform, you hold a handle in both hands, and you sit on a seat that slides back and forth. You then perform a rowing motion that causes little impact to your body, but a lot of impact to your cardiovascular system and back muscles. Stair machines come in two varieties--steppers and climbers. Steppers have platforms that you place your feet on and handles to hold on to for balance. You then lift the platforms up and down as if you are walking up steps. This causes no impact, and you can adjust the resistance to make it more difficult. Stair climbers look like a small staircase. You start the machine and then step up each step as they continually revolve around. Being that you are stepping in a vertical plane, the impact is low. 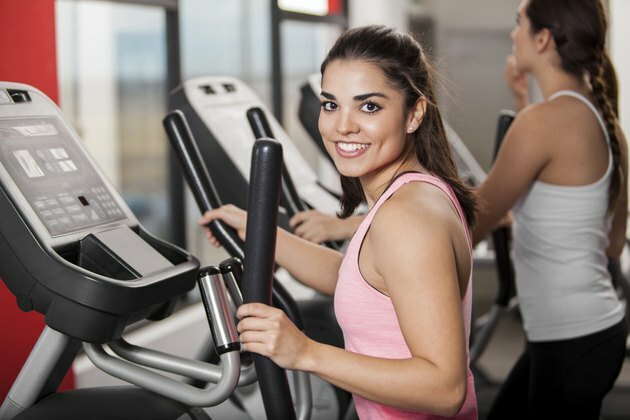 ACE: Fit Life -- What’s the Best Piece of Cardio Equipment to Use?